You are at:Home»Blog-News U can Use»Did you send that RFP to the Government? And why Santa may be late. Did you send that RFP to the Government? And why Santa may be late. If you have ordered something from Amazon and it was delayed, you may have the political gridlock in Washington to blame. So call your local member of congress and complain loudly. The U.S. Postal Service (USPS) is part of Amazon’s supply chain ……and it cannot keep up with the demand. This brings up a number of interesting points to consider in what may be a changing landscape. Clearly, Amazon found that current delivery systems in the market (e.g. Fedex, UPS) were not enough to meet their Value Drivers(volume, delivery schedule, cost etc .etc.). USPS has been suffering contraction and their relationship with Amazon is a great strategy to re-invent themselves (which also now includes acting as a banking system). After all, USPS already has the infrastructure for the proverbial ”last mile” into your home and most people like their mailman. Which by the way means that Amazon will have significant influence on the physical “last mile” and they are already into the content development and delivery business in a big way and getting bigger. This raises the obvious question of how big is too big as far as Amazon is concerned? You may remember the drone delivery strategy from last year? Clearly, Amazon and other retailers may have outpaced the capacity of the overall delivery system and is now including the Public Sector in its supply base. Does that mean that the next time you send out a logistics related RFP, you should include the USPS in it? Perhaps you do already and if so, does it present a different set of challenges and risks to consider? Are your negotiation tactics totally different? In this case, one of the obvious challenges would be the union who is actually quite supportive ” We are in favor of the Amazon delivery business and Sunday parcel delivery — it’s fabulous and we want it to continue”. The challenge is that USPS is not staffed up to handle the volumes, their temporary workforce strategy is not working and their entire workforce is overworked according to the article. Year over year volumes are up by 300% and the expectation is that this is a long term increase and not a short term phenomena. And the long term investment in increasing the USPS infrastructure including the workforce is a political issue which means you must include that as part of your assessment when looking at the USPS. 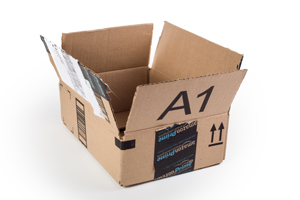 Does Amazon look to invest in the USPS like they might with another supplier and is there a model for that? Should that be of concern? Does that lead to privatization where your mailperson has an Amazon hat on? When the USPS has to decide between your card to grandma and the Amazon package, which one do they choose? Already Amazon customers are complaining that they are not getting on time delivery. How much influence does Amazon have over the USPS? Wait till that call from grandma! By the way, this is the same discussion happening in the virtual “last mile” issue between the FCC and the industry (net neutrality) – who controls delivery of content into the house. And content developers are bypassing cable (Netflix, HBO) but that’s for another blog. Dealing with the Public Sector as a supplier clearly has its unique challenges and one where public policy and politics enter into the picture. It may also be the emergence of a new model where public sector institutions who have been under pressure to outsource and privatize are now actually a service provider to the private sector – they have become the Outsource (a totally made up word). It is also an interesting tipping point (thank you Gladwell) where one of the most dominant disruptors of the old economy (Amazon) is teaming up with one of the oldest institutions of that old economy (USPS) to make sure Santa is on time. And if he/she is not, then call your congressman and give them &^##. Previous ArticleAnd the Decision Goes To . . . .
Next Article Merry Christmas from the Mpower Group 2014!